The SFI method enables you to enhance your recruitment process and hire only the best people for your company! Can you tell which employees, or more precisely employees with which competencies, are the most important for success in your company? What sets the most successful workers apart the rest? Using the SFI method during the recruitment process, you can then focus only on candidates with a strong chance of succeeding in the given position. With your help and the help of your existing employees, whom we send a link to the selected psychodiagnostic questionnaire, we gather the necessary data literally within a few days. Models can be designed from as few as about 40 employees, however, the more employees, the more exact and reliable the data. Would you like to take advantage of Success Factor Index but don’t have as many employees in the same position? Then you can continually gather data about new hirees. This may take longer, however, it is never too late to identify exactly what type of people help you reach the objectives you set. 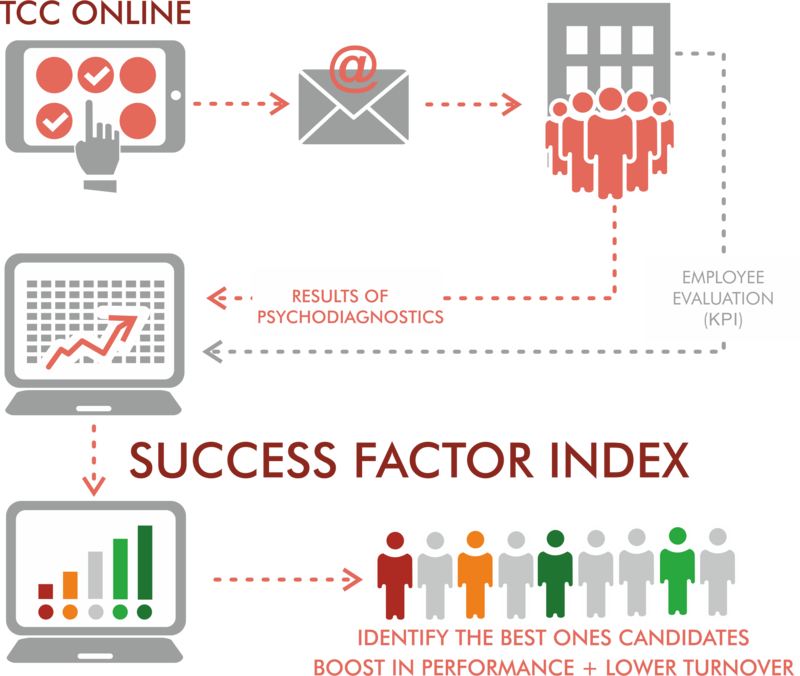 We analyze the data, find correlations between psychodiagnostics and employee evaluation and select only those values actually related to high performance and based on them, we create a psychological model which reliably predicts a candidate’s success in a given position. 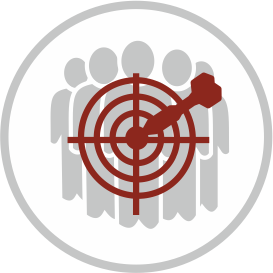 During the recruitment process you can then focus primarily on the potentially best candidates before the competition snatches them up. Or, conversely, you can eliminate from the selection the potentially least suitable candidates. Thus, the Success Factor Index not only saves you time and money, it literally creates profit by bringing in efficient workers. Moreover, it is very transparent and easy to understand for managers, whom it gives clear numbers and results. ARE YOU LOOKING FOR SALES REPRESENTATIVES? AIM FOR THE SUCCESSFUL ONES! With the SFI method we took part in a recruitment process of sales reps in the banking sector. Based on the collected data, a mathematical model was created which predicted a business person’s success rate with high reliability and validity (90%). Candidates identified by this model as talented now earn on average 87 577 EUR in contract value per month. Candidates whose performance potential was identified as low arrive at only 19 335 EUR in contract value per month, i.e. solely 22% of contract value achieved by the “talents”. Would you like to streamline your recruitment process? Would you like to find out more about SFI and how it could benefit your company?